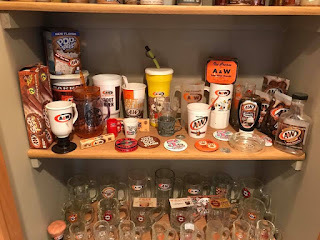 Since my post showing my A&W Mugs I have gotten a lot of emails from various other collectors showing me some of what they have. 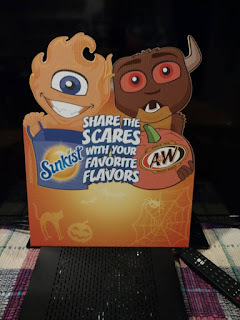 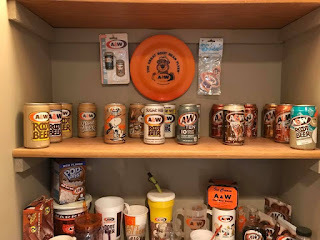 This get me to thinking I should do an entry focused on A&W collectibles. I know I have only a small percentage of what is out there but it is fun to display them and see what others have. 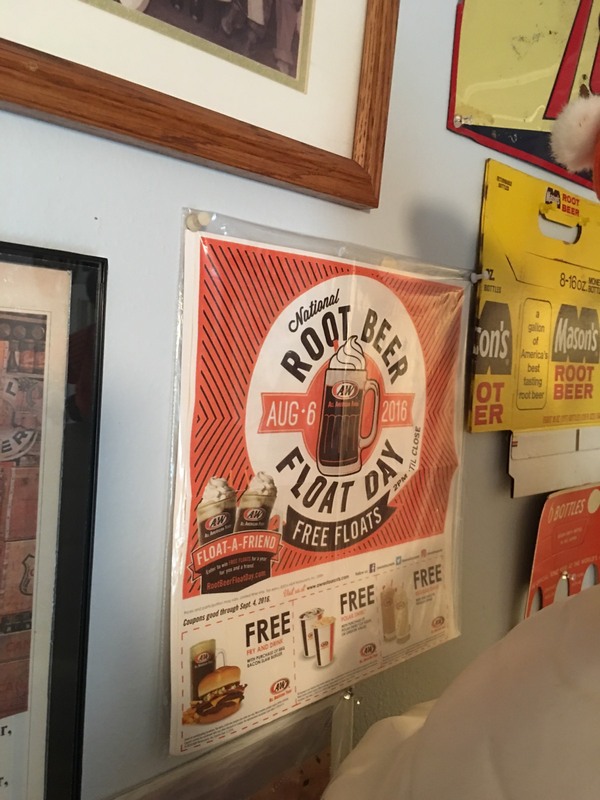 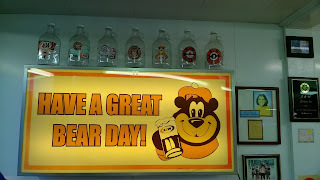 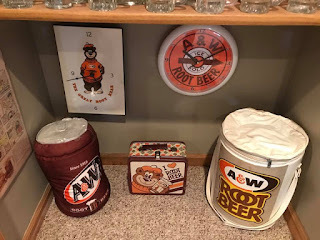 For those that are curious about the history of A&W Jamie Heidt send me a cool link. 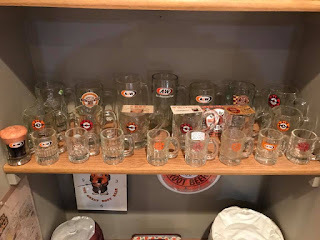 http://kpolsson.com/mugshots/mugs/index.htm This is apretty good site for determining the approximate age of an item. 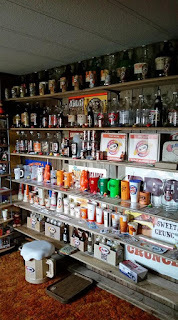 Below is what I have, in no particular order, followed by some of what others have sent me. 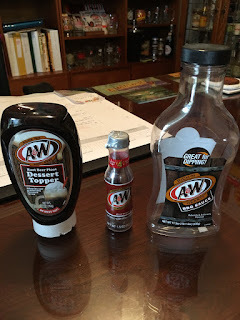 As always, if you send me pictures of what I do not have, I will add them to the blog. 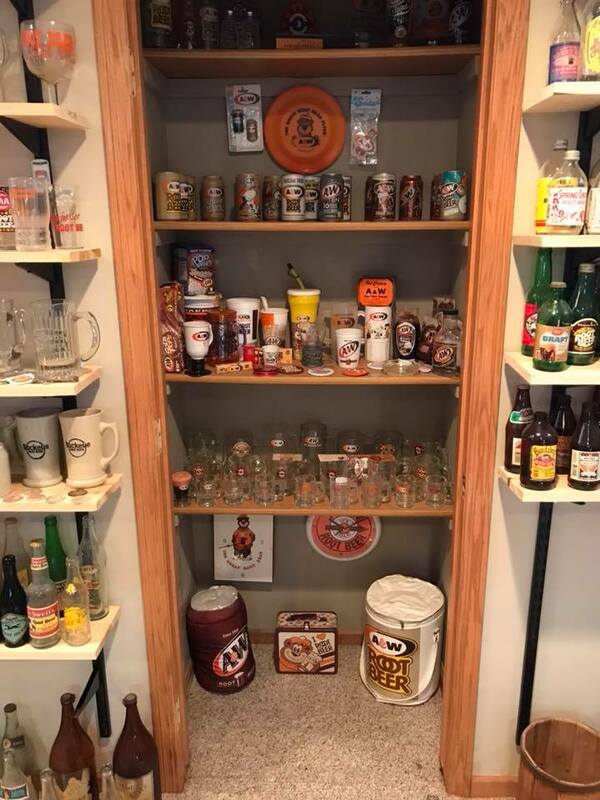 Please scroll to the bottom and see some of the pictures others have sent me. 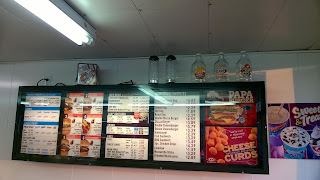 This is an overview shot of my A&W Corner. This is a tool used to determine the sugar level within the A&W syrup. 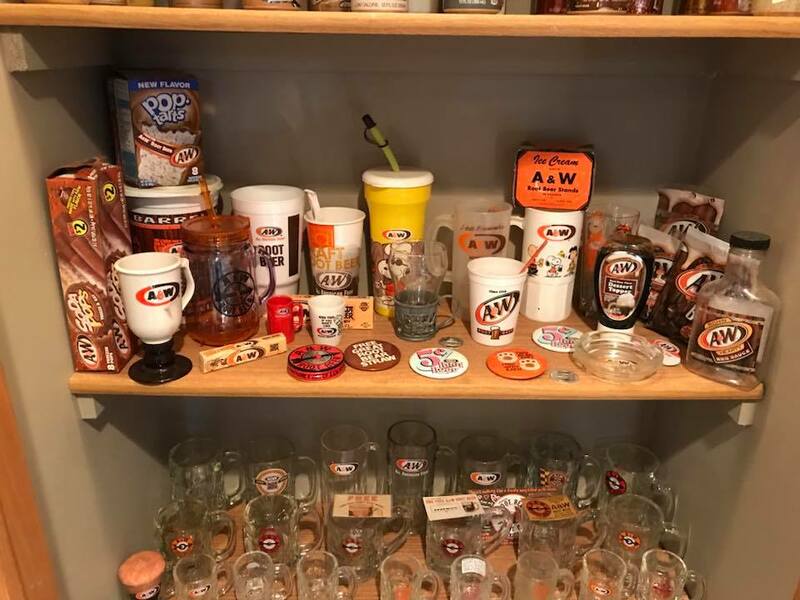 I got all these employee pins from a vender website. 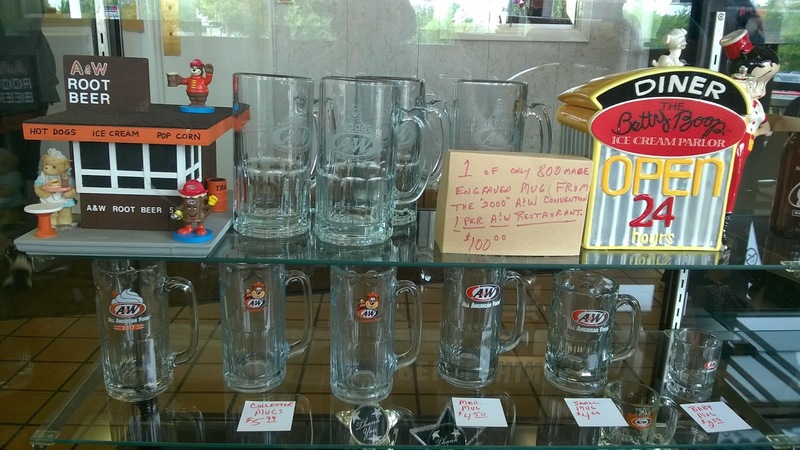 The below pictures came from Marek in North Carolina. 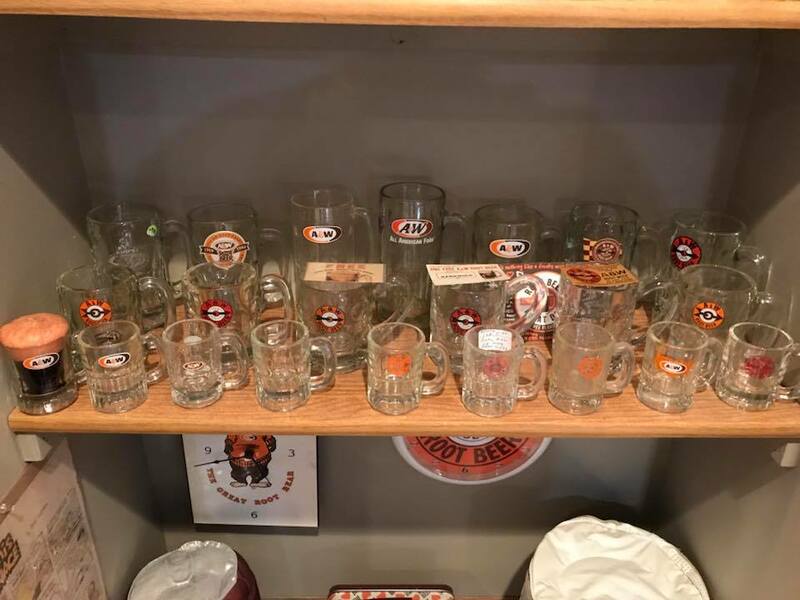 A set of 2000 Anniversary Mugs. 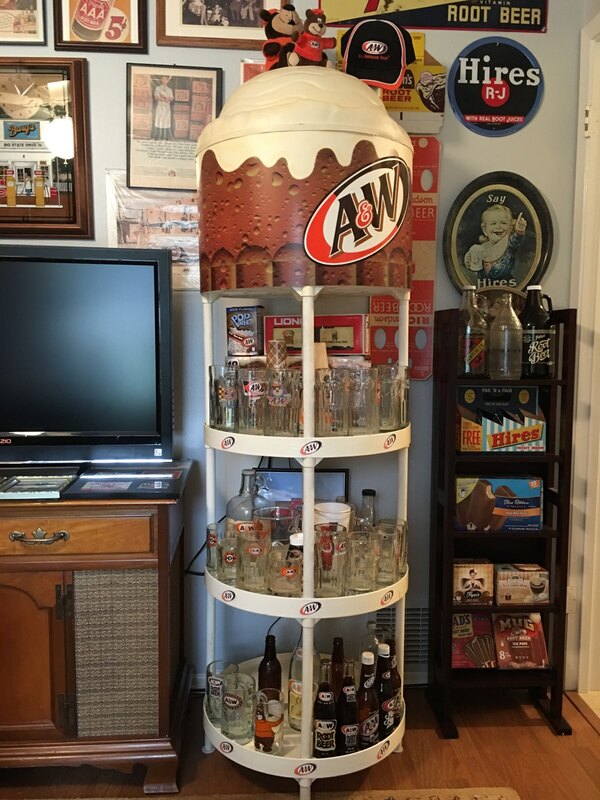 The sign says there were only 800 made. I have never seen these. 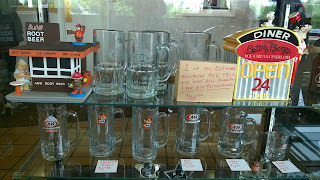 I have some of the jugs pictured above, but now have more to look for. 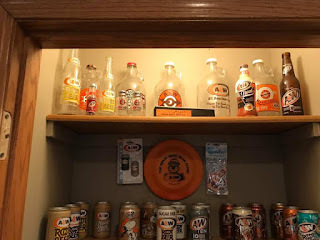 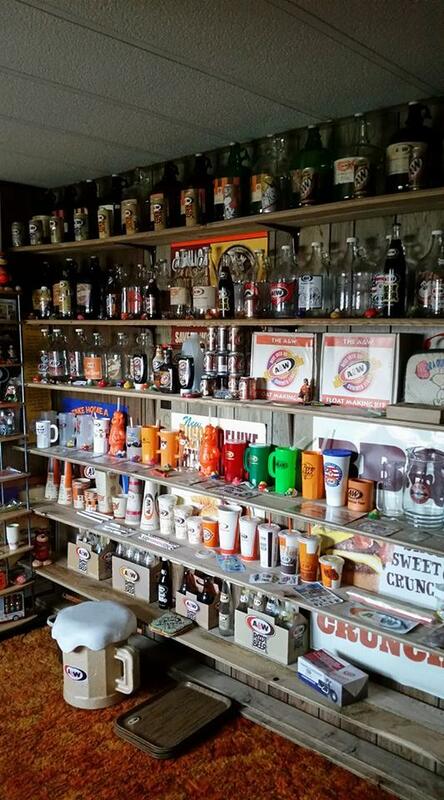 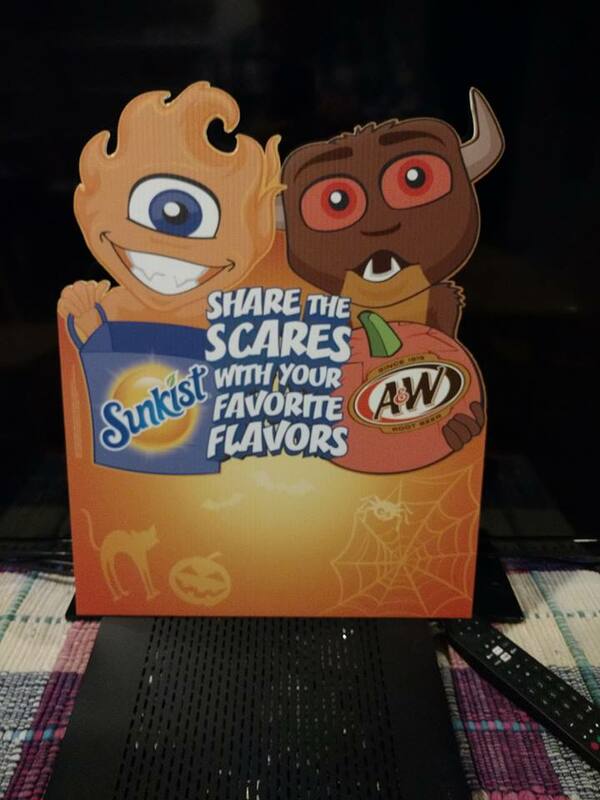 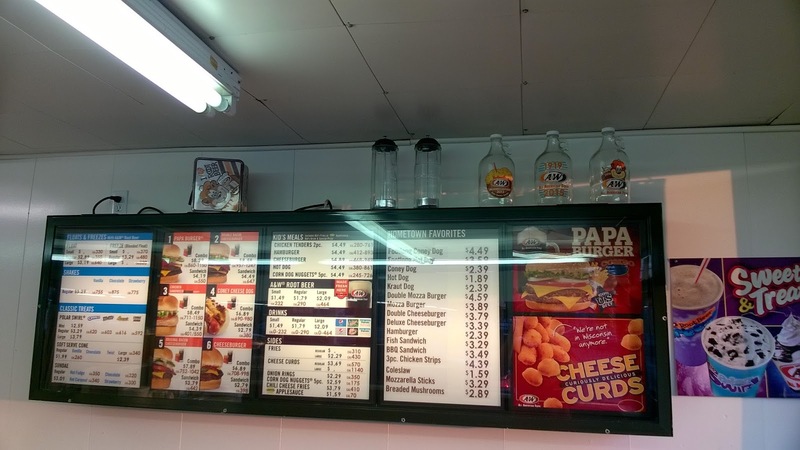 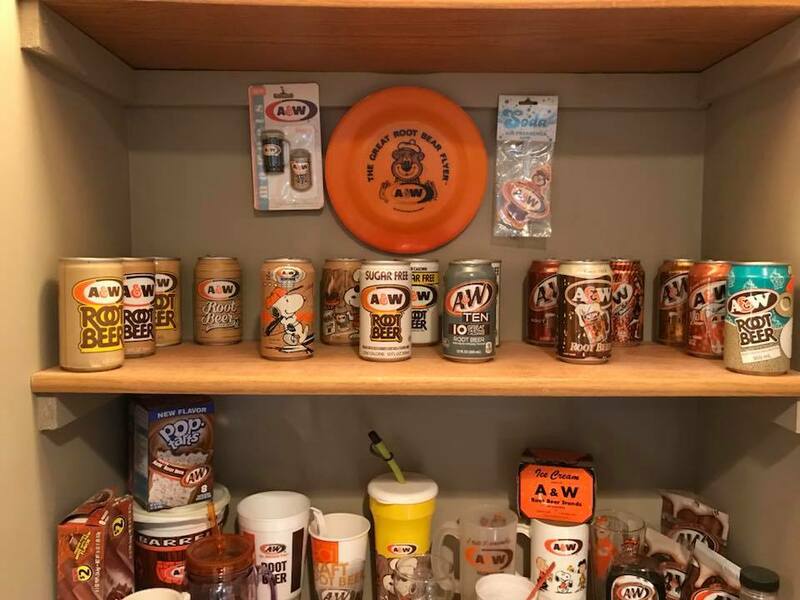 Scott Morgan shared this photo of his A&W Collection. 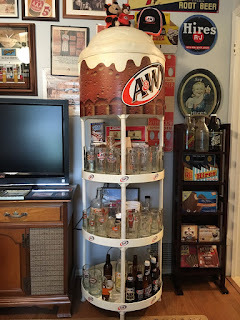 Art Pettit from Texas share the below 3 pictures. The following pictures are from Vince Payne in Iowa.